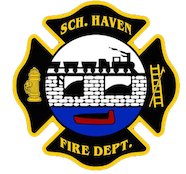 April 17, 2009- At 20:04 the Rainbow Hose was dispatched to assist Medic 63-01 at 319 Center Ave, Schuylkill Haven Boro, for a medical assist. Squad 726 and Rescue 727 went responding and assisted medics with lifting and transporting the patient. Time out was 25 minutes.